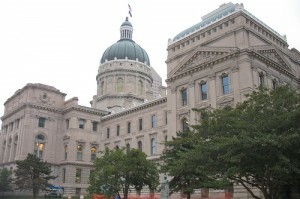 Like so many businesses, Indiana’s state government is taking a hard look at its budget, seeing where it can cut costs. The Indianapolis Business Journal’s website ran a story today about the state taking a closer look at expenditures and where it can bring in some extra revenue. Although nothing’s been finalized yet, some ideas are to eliminate some paper records, and charge non-profits for services like fire and police. The new committee, with representatives from various municipal organizations as well as politicians, expects to take on what one representative called “no-brainers” as well as more controversial issues. This could be reducing the number of times the same document is filed with different agencies, or reducing payments to community mental health centers, the story says. But then, that raises concern about if mental health services would then be compromised. In the non-government world, there aren’t many business who haven’t had to at least trim the budget over the last few years, whether it’s asking employees to pay more out-of-pocket health care expenses, putting a hiring freeze in place, or even laying off employees. Do you think government entities should be exempt from trimming the budget, or is this something the state should have done long ago? And if you had to make cuts at the government level, what are some of the things you would consider trimming from the budget?